UPDATE: I had no intention on making plans for this but a lot of people have requested them. For those who are interested, click here for a detailed set of plans. 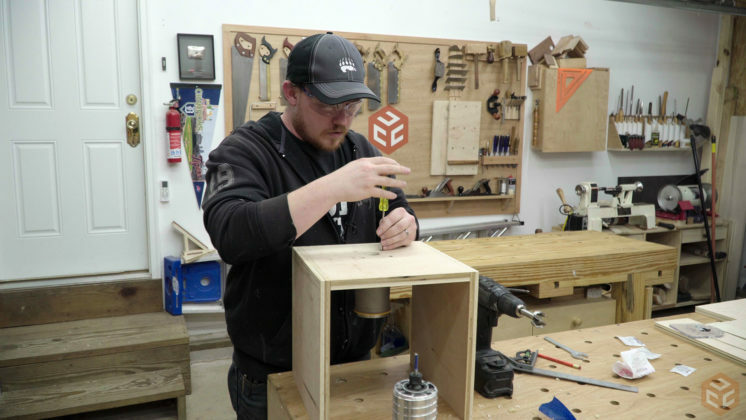 I often get asked something along the lines of “Why do you not have your router table anymore? 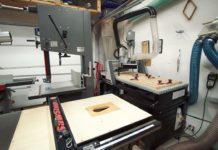 Do you not like using a router table or are they overrated?” I do like using a router table, they are not overrated, and I no longer have any of my previous setups because of one reason or another. Regardless of what you do or do not have there are always alternative ways to get the job done and since not having a router table anymore I’ve always just worked around it. I made my very first router table out of an old entertainment console with glass doors. I honestly don’t recall exactly what happened to it. Someone probably offered me more money than what I had in it so it went bye bye. 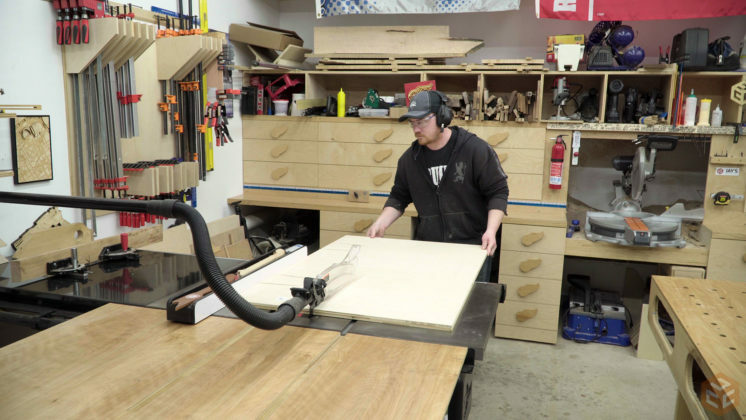 The second router table I made was a dual router table setup in the extension wing of my table saw. I do recall that I sold that entire setup. 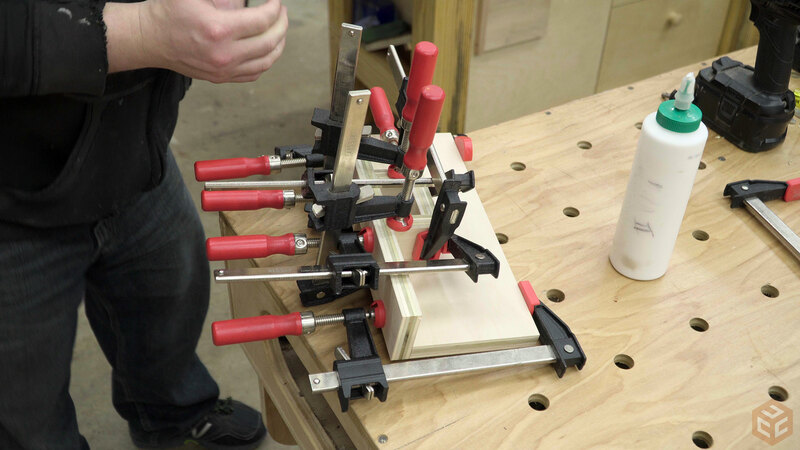 The third router table I made was a French cleat router table. The French cleat idea was a mistake as it limited the locations where it could be used. 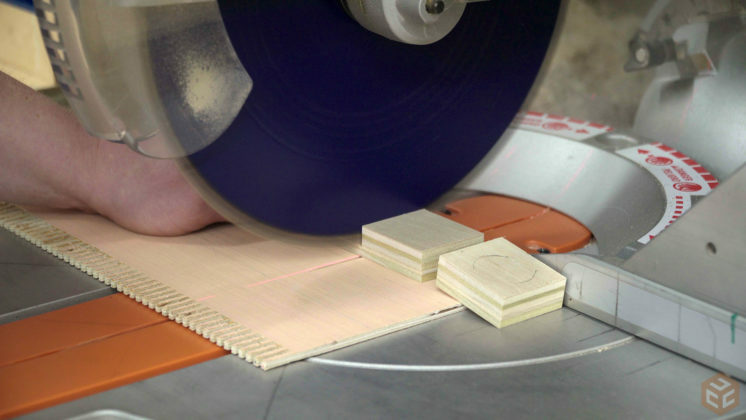 Once I left that shop the French cleat router table wasn’t nearly as convenient. 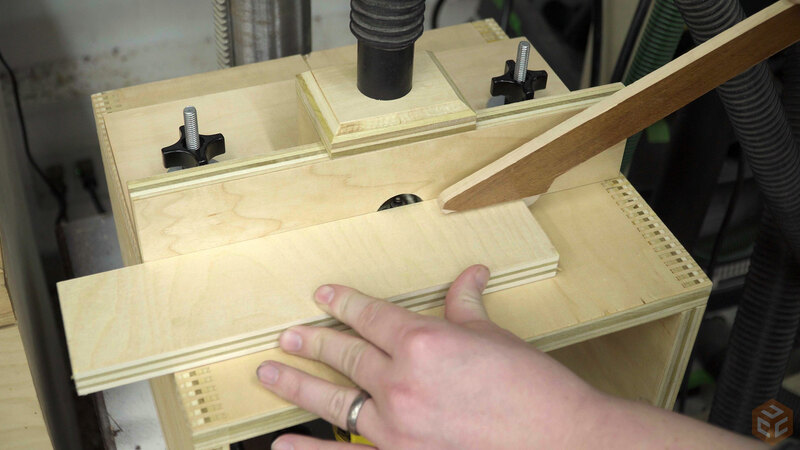 The fourth router table I made was my lever router lift in the extension wing of my table saw. So far it has been my favorite. When I got my current table saw I gave away my old table saw and left the router table setup in the wing for the next owner. 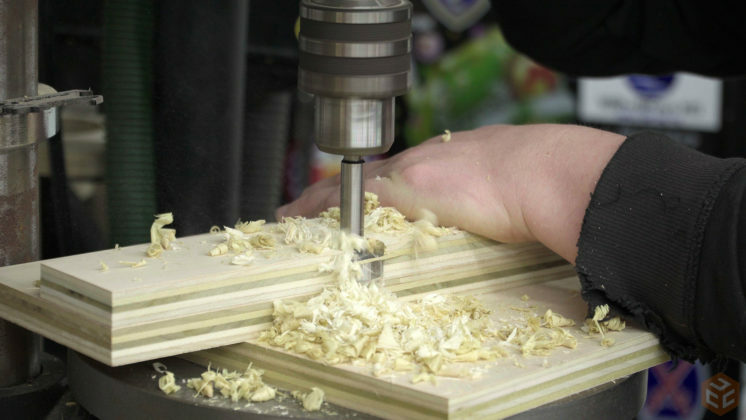 Since then a router table in my table saw wing hasn’t been convenient due to the shop layout. I’ve had an idea for a full size dedicated standalone router table for a while now but I haven’t quite worked out where it would fit in the shop. 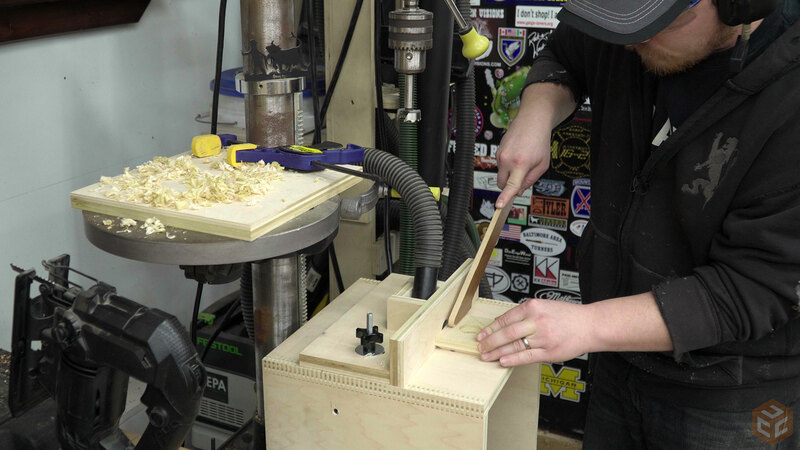 So until I figure that out I figured it would be beneficial to make a simple benchtop style router table for my DW611 trim router. This setup would only be used for edge work and doesn’t need to be super fancy or feature rich. It just needs to be functional and convenient. Because I’m also limited on space it would be really nice if I could nest it below my drill press table. I’m using PureBond birch plywood. It’s not Baltic birch quality but it is the best stuff I can find locally without spending more than $50 per sheet. With a layout diagram printed I was able to cut all of my major pieces. 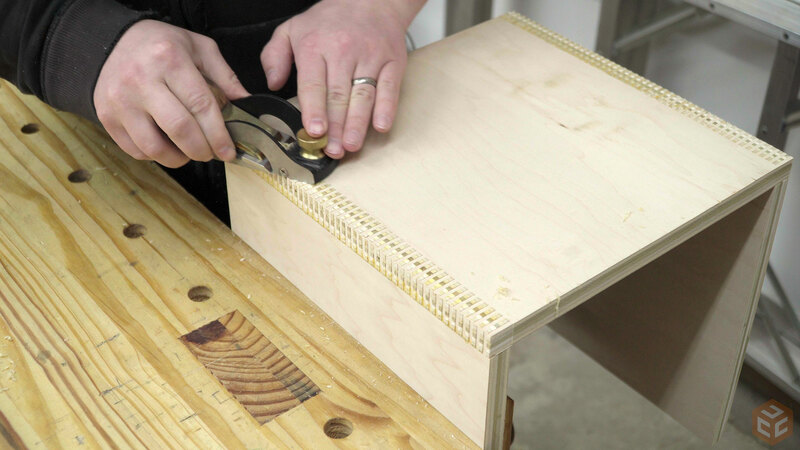 To make the connection of the sides to the top really strong I used a continuous box joint. And a test fit confirms everything is good. I added tape to the joints not necessarily to prevent glue from going anywhere but mainly to make the clean-up a lot faster. Just remove the tape and most of the cleanup work is done. 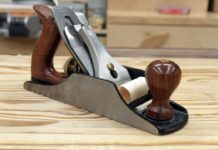 Once the joints were dry a block plane makes quick work of cleaning the surfaces of the joint. I was originally going to over complicate the router mount by routing a mortise on the inside of the top panel. After realizing that I had more than enough movement in the router base I instead used the base plate to layout and drill four mounting holes and one hole in the center for the router bit. 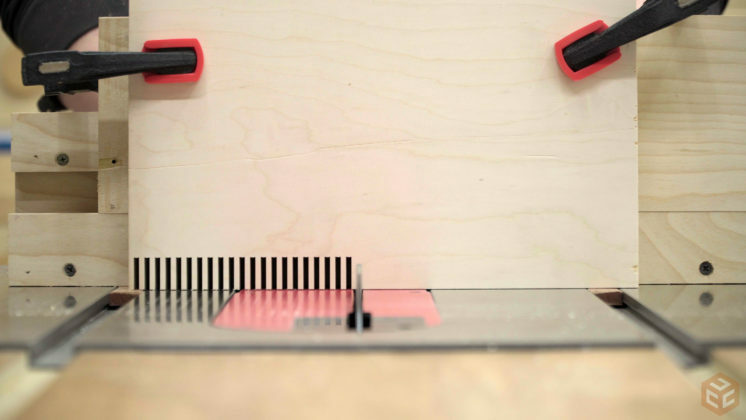 The original screws used on the factory base plate weren’t long enough to go through the plywood. I could have made the counter-bored holes deeper to accommodate the factory screws but I really didn’t like how thin it would have left the plywood. So instead I used longer screws. I had to go buy these but it only cost $1. 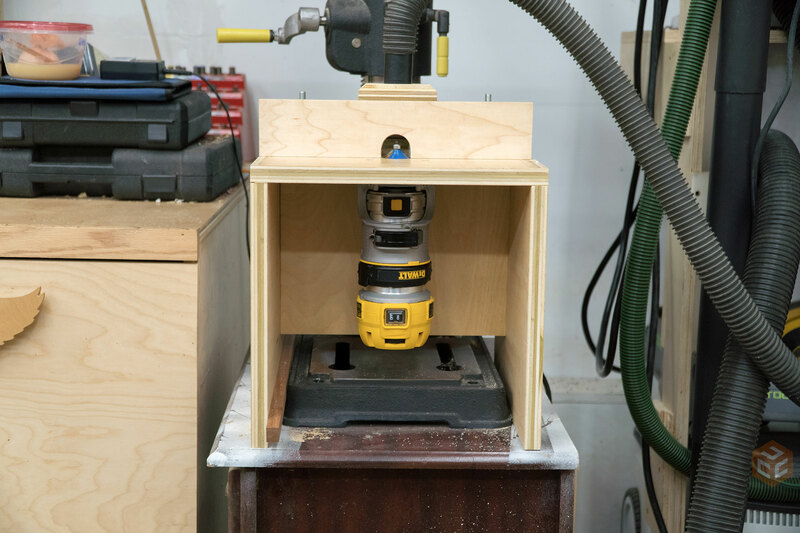 Once the router base was mounted to the box I tested the stability of it and also the built-in height adjustment. At this point I was feeling pretty confident that this whole setup would work very well. Instead of using a back panel like I originally intended on using I made an inset panel that I could secure close to the router. This will really aid in preventing racking. To allow room for the router cord I had to cut a slot in the panel with the drill press and bandsaw. Then the inset panel can be installed. I used a couple brad nails to hold it in place while I predrilled and drove screws to secure it. Next up is the fence. 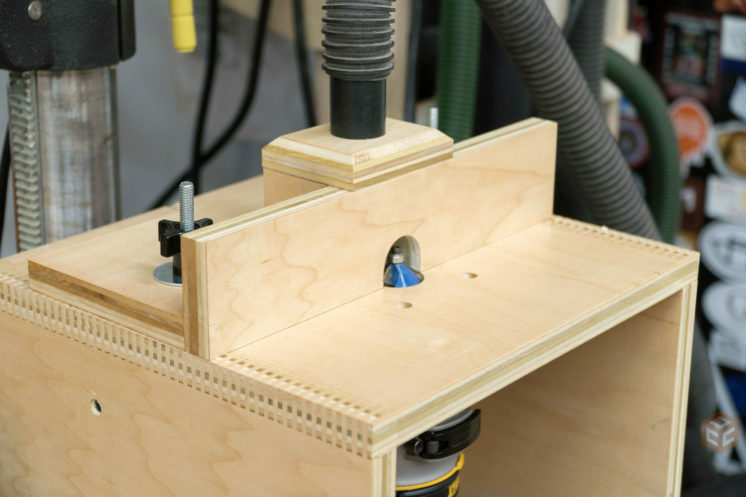 This router table will only be used for small tasks like edge details or shallow grooves. Because of that I didn’t want to make the fence opening large. I found the largest size bit that I think I will be using for this setup and sized the opening according to it. To start I drilled a hole near the edge of both the horizontal and vertical piece of the fence. Three small blocks are used to make the dust box in the back of the fence. A little bit of glue and a couple of clamps later I had the fence all glued up. The position of the fence is somewhat critical due to the inside vertical panel. Once the placement is worked out I clamped the fence in place and drilled through both the fence and the table. Two carriage bolts were secured in the holes in the table and I made a slot with the holes in the fence. A second hole and a jigsaw to connect the dots makes this process easy. The carriage bolts I used were a bit long as I just pulled from what I had on hand in my hardware drawer. I though about cutting them shorter but they aren’t bothering me any. A fender washer and a plastic knob make locking down the fence really easy. 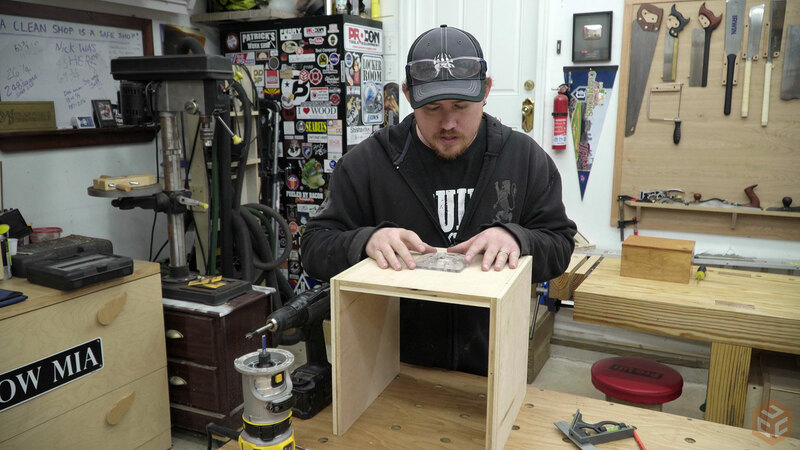 One final piece needed is the cap for the dust box. I cut a rectangle on the bandsaw, drilled a hole on the drill press, and used the router table itself to route a chamfer on the top edges. 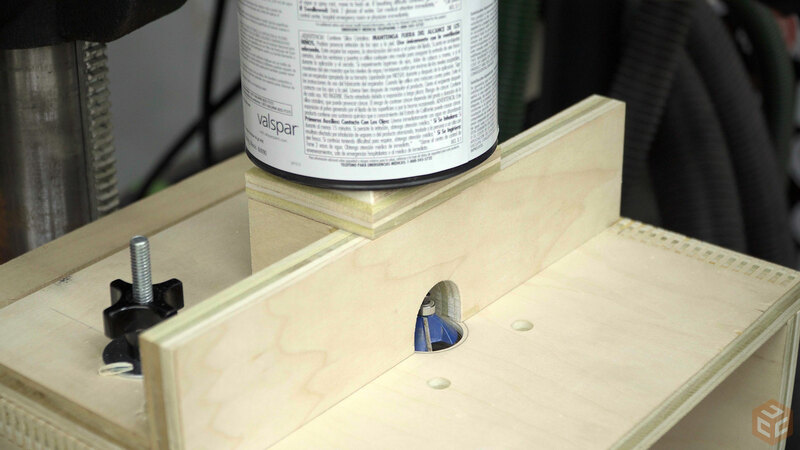 And installed it with some glue and a quart of paint to act as a clamp. The dust collection works great. It’s not 100% as a tiny bit does escape down below and the last tiny bit of the cut doesn’t get sucked up either. I’d say it’s about 94.8847% effective. I liked the overhead shots your new camera stand allows. 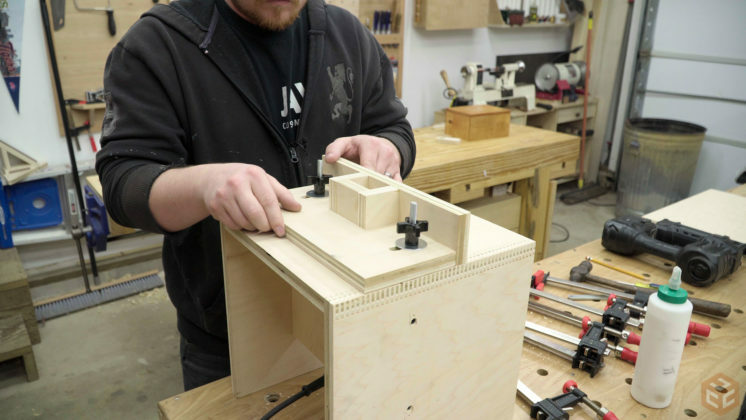 Hi Jay, that is a very simple and easy router table. Will the plans be for sale? I didn’t figure anyone would want plans but if enough people ask I might put some together. Okay, this is me “asking” if you put some plans together, I’d love to purchase/get them. Thanks!!! Love your work and detailed explanations!!! Keep up the good work!!! 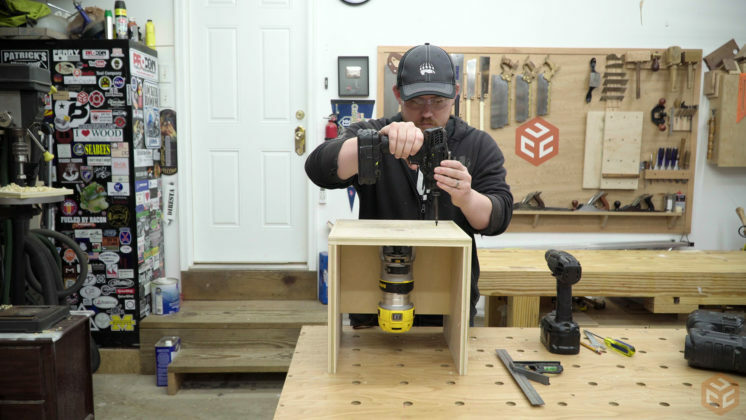 That’s a pretty slick box joint jig. Is there more info on it’s design out there? Hey Jay Merry Christmas. This is such a nice easy set up and great use of space. I have a off topic question what model Grizzly dust collector do you use and are you happy with it??? I’m going to buy a new D/C in the coming couple months and will be using it from one machine to machine. Thank you and btw I love my shop vac D/C cart from your plans. If any one is reading this and hasn’t used Jay’s plans before you should they are awesome!! Sorry Jay I should have just run my history on your tool talk I found the D/C information so thank you as always. Real nice Jay. Any plans available for this? I’ll make some plans in the next couple days. Hi Jay. 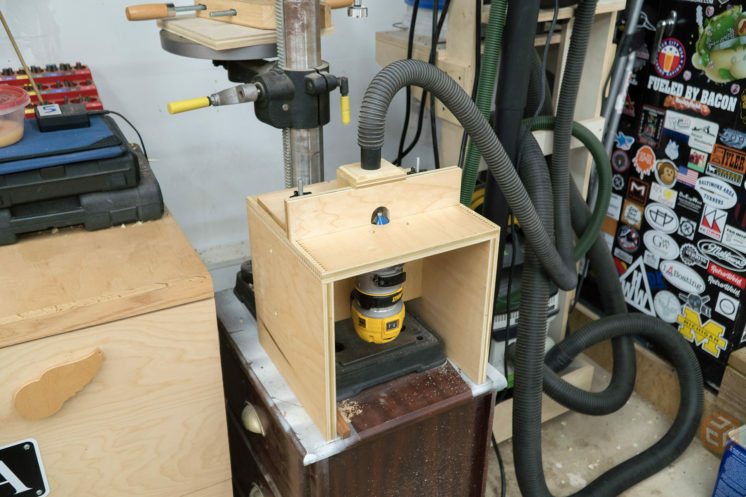 Great router table, simple yet very effective. Would be nice if plans were available. Would love to make one. Very good video of the build too ? Great build. And a Merry Christmas to you and yours. 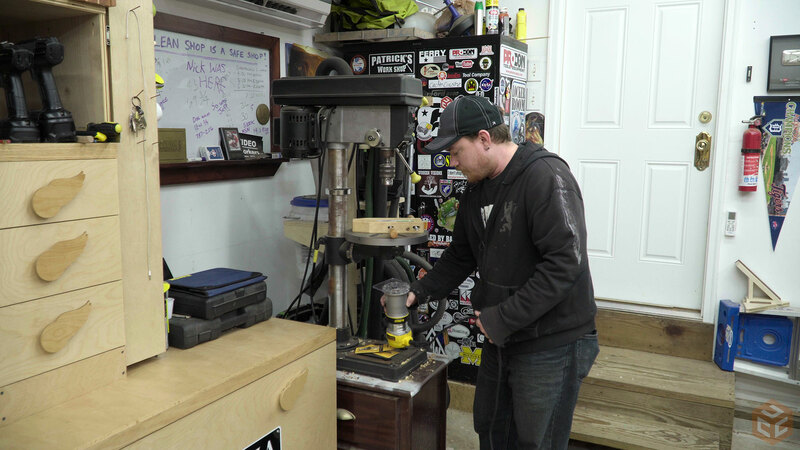 I’m in the middle of reorganizing my space and getting my drill press off a bench and on wheels will fit well with this router table. Still looking for a Baltic Birch plywood supplier close to Russellville Arkansas…..any suggestions? Another nice handy build. Merry Christmas Jay ???? Jay, Yes I think it would be nice to have the plans. 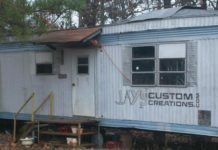 I have a small shop and it always could use a smaller foot print. I’m sure I could just check and estimate the size if you don’t want to put some plans on here. Nice project, Jay. Well done, even if it’s not furniture! 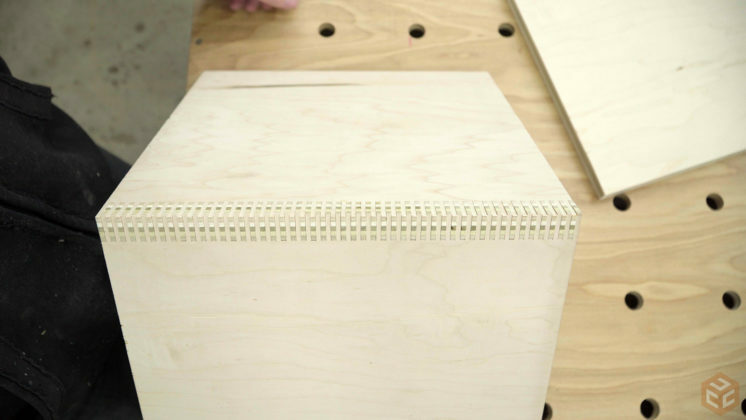 That box joint jig is incredible. Do you have any info on this that you can share? Keep up the great work Jay. Merry Christmas. 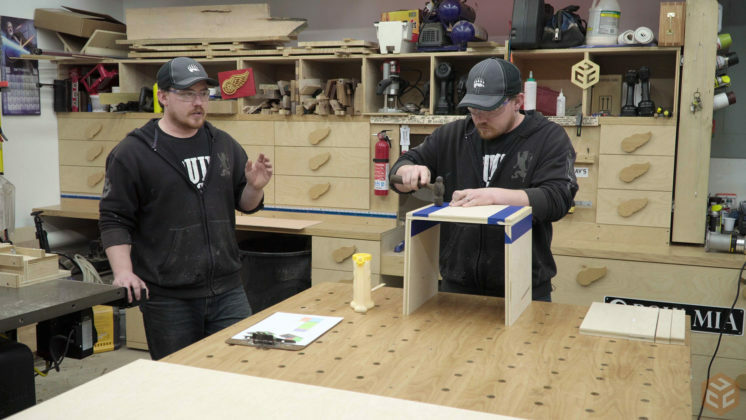 Jay Glad you did the router table. 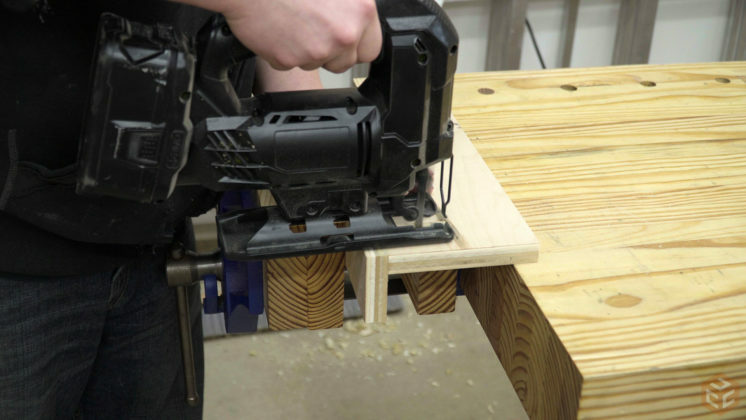 I have that same router plus the plunge base and wanted to make a unit to hole the fixed base for table routing. 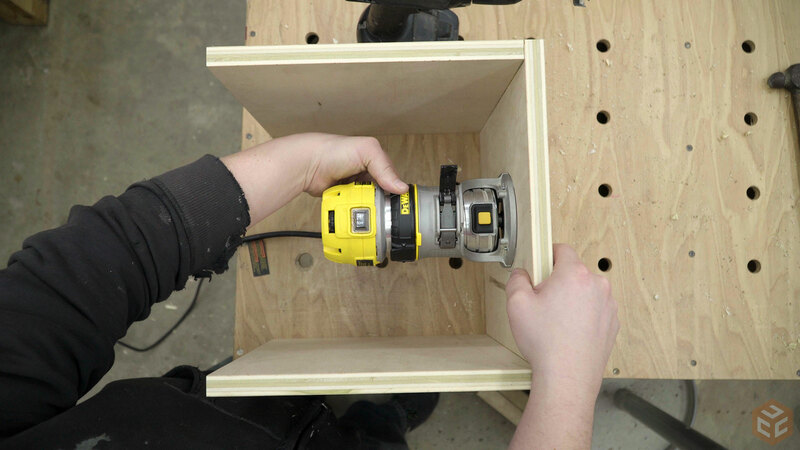 The Dewalt switches between both bases easily. 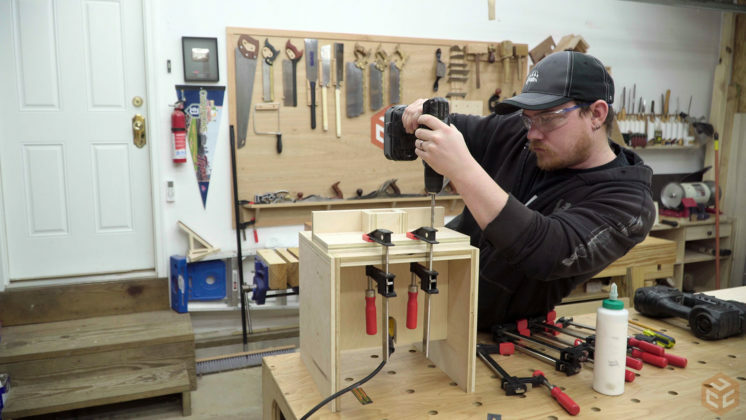 You box gig, will it make larger joints and what type of blade do you use with it? Jay I also would like to know what blade you used for the box joints. I would also like to know if this was the blade you primarily run or did you have to change to it for this application? Thank you. 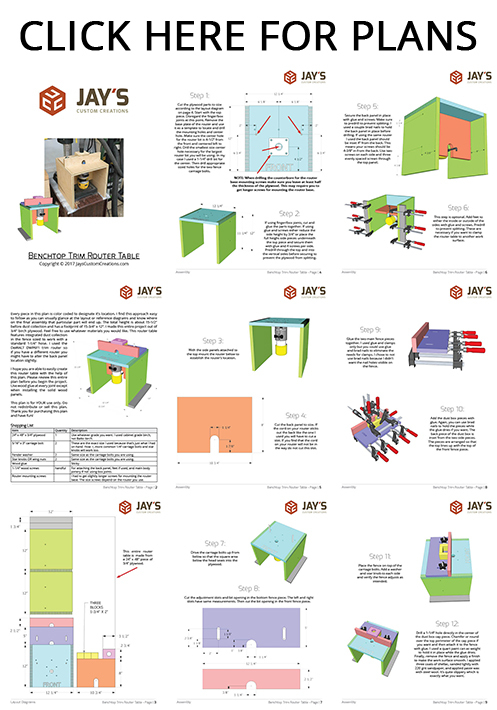 I was impressed by your box joint jig, I would really like to make one. Do you have plans for it ? That was a really cool build but next to my table saw my full sized router table is my most used tool. 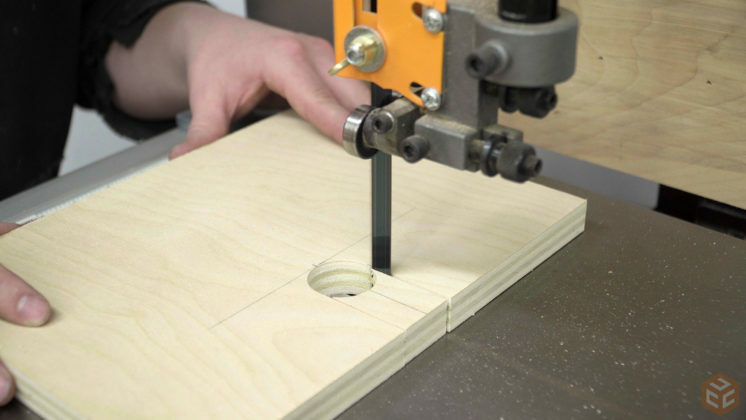 I can’t imagine doing edging or moldings without a full size router table. I’ve made my router table, table saw and planer stand all at the same height as my outfeed table. Hi Jay! Will you be posting plans for this? Love the design! Would gladly purchase them! Love the idea, Jay! I got this done in just a few hours. Works great on the little handheld pieces that I have been making for craft gifts. Thanks for your well-done and easy to follow demos.